It’s full of “riding-studded-tires-or-not-because-it’s-getting-colder” stories, “looking-like-an-idiot-in-a-high-visibility-vest-or-not-because-it’s-getting-darker” arguments on the cycling interweb at the moment and so I don’t have to check the calendar or look out the window to know winter is just around the corner. Even a troglodyte could tell that Freds have stashed their plastic toys away for the next couple of months. It’s November 5 and, like pretty much every year, it’s Autumn time in the northern hemisphere. 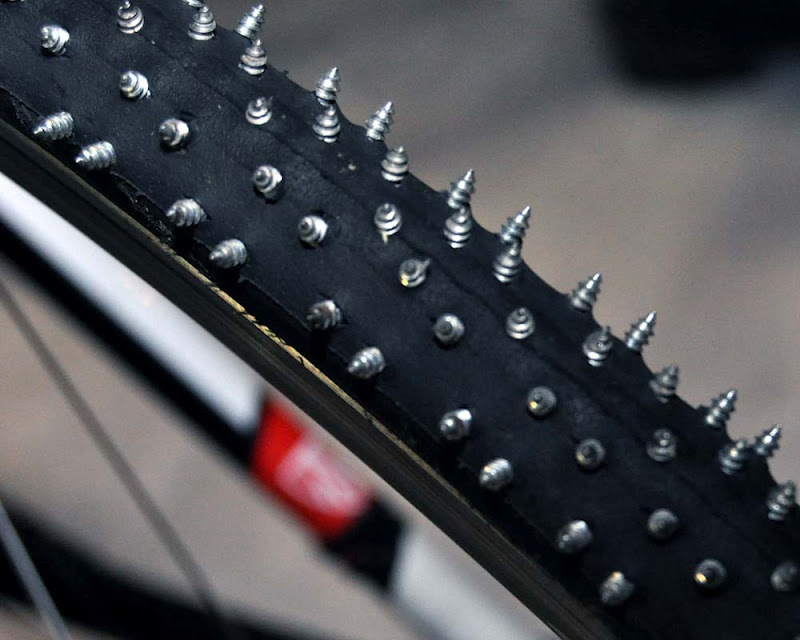 Studded tires or not? You can read as much as you want, online or elsewhere, the first step to making the right decision would be to get on your bike on the first cold snowy day and think about equipment later. Swapping tires on a bicycle is quick and rather cheap (if you compare to the hassle the whole operation is with cars) and you don’t want to be this equipment-first-pleasure-last person riding studded tires already in September when it’s still 25ºC at night. Just in case. Then you really have three options. 1) the tires you currently have are good enough for the job, 2) you feel you need a bit more grip and knobby tires will do, 3) you’re mainly riding laps on an ice rink and studs are a must. I chose the second option three winters ago and bought a pair of Schwalbe CX Pro. They’ve done an excellent job so far and I’m just glad I don’t have to drag the extra kilogram and higher rolling resistance that come with studded tires. Feel free to hit the comments section and ask if you want me to elaborate on that choice. 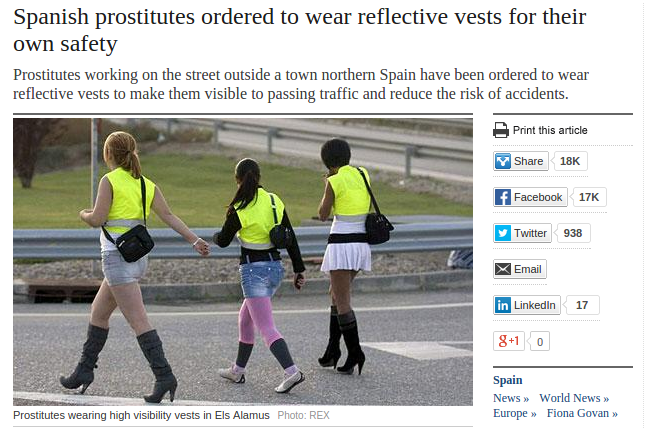 But when it comes to wearing high visibility clothing I am very much against it. Don’t get me wrong, I buy the more-visible-is-safer argument. I really do. But I’m so annoyed cyclists and pedestrians let a few (in 2004, 23% of Stockholm commuted by car) dictate how and where it is safe or not safe to walk or ride a bicycle and don’t even question this absurd situation. I’m so annoyed people gave up and have come to accept they’re just moving targets, highly visible moving targets. You don’t want your next customer to run you over, do you? We (cyclists and pedestrians) should not even have to consider wearing high visibility vests and all. We should just wear whatever we feel like wearing and know we’re not going to be run over by a neighbor or… the next customer.